Is the university of Texas haunted? Founded in 1883, the university of Texas has the fifth-largest single-campus enrollment in the nation as of fall 2009 (and had the largest enrollment in the country from 1997–2003), with over 50,000 undergraduate and graduate students and 16,500 faculty and staff. 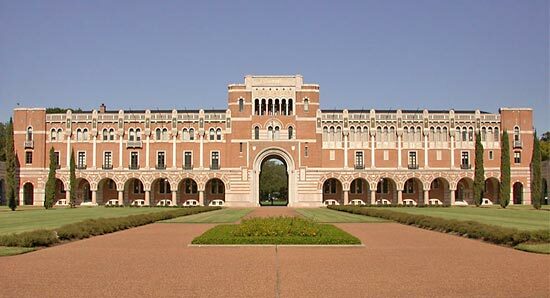 It currently holds the largest enrollment of all colleges in the state of Texas. The University Was known as Ft. Brown during and after the Civil War. It was occupied by both Union and Confederate troops. Soldiers, horses, cavalry officers, etc haunt it. The buildings that house the University are historical monuments. Sightings and sounds have been experienced in almost every building on campus. The last battles of the Mexican American war occurred in Brownsville. One of the battles was the siege on Ft. Texas (later named Ft. Brown, in honor of Maj. Jacob Brown who died in the siege) It started May 3rd and ended May 9th, 1846. There were only 2 Americans killed and 7 wounded, so the hauntings are likely related to residual hauntings. One of the most concentrated areas of paranormal activity is located within the old morgue building. This was used as a storage building and a three room accounting office. There are strange noises in the building, which cannot be identified. There are reports of apparitions of a woman and her small child being seen, books fall from shelves, chairs move in the library, voices and doors opening and closing on there own are heard, and a lady dressed in black has been seen sitting on a wall in front of the Old Morgue. Also, electrical devices in the building will suddenly stop working or break temporarily. Plugs will also pull out of sockets by themselves and stored items will move on their own. These are supposed to be caused by the ghosts of soldiers whose bodies were stored here.